General Hospital (GH) spoilers reveal that Alexis Davis (Nancy Lee Grahn) approaches her former son-in-law, Jason Morgan (Steve Burton) and pleads with him to let Samantha “Sam” Morgan (Kelly Monaco) live her life and not give up everything she has now. She is currently with Andrew “Drew” Cain (Billy Miller), and shares a child, Emily Scout Morgan (Palmer and Poe Parker) with him; unfortunately for them, she is legally married to Jason. One might question, how she is going to deal with having a daughter named after Jason’s sister, Emily Quartermaine (Natalia Livingston) and also have to go through the process of changing her father’s name on the birth certificate, since Scout’s father is Drew, not Jason! GH fans knows Sam has been thrown for a serious loop when a man returned to town with the face of “original” Jason. Sam remained steadfast in her belief that the man who came to Port Charles in 2014, was her beloved Jason Morgan who was presumed dead after Cesar Faison (Anders Hove) shot him and tossed him into the icy waters at the pier. After a rough start, as BM’s Jason struggled to regain he memories, the two divorced, only for them to reconcile and by remarried by Damian Spinelli (Bradford Anderson), in front of their nearest and dearest. 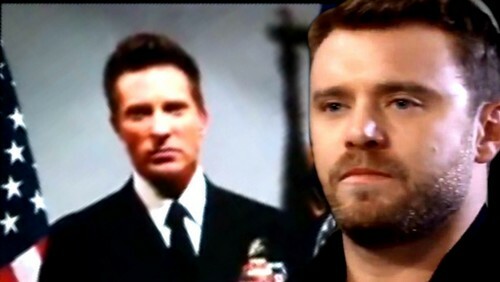 General Hospital spoilers remind us that Dr. Andre Maddox (Anthony Montgomery) has been brought back to Port Charles and revealed that Billy Miller’s character is actually Navy SEAL Andrew Cain, and the man known as Patient 6 is really Jason Morgan (Steve Burton). GH fans feel Sam should have had more of a reaction to her “soul mate” returning to her life. Sam, in fact, snubbed SB Jason and GH spoilers show that she reassures Drew that they are in this together, proving who she has chosen to be stick by, Andrew Cain. Jason Morgan, has always been a man who will do what is best for his loved ones, and this situation is no different. General Hospital spoilers imply he will be filing for divorce from Sam so she can legally marry the man she has been sharing her life with these past few years. 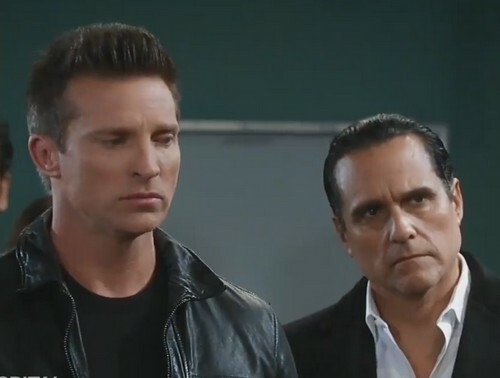 Viewers of the ABC soap opera need to remember that Sam will, in fact, need to divorce Jason since he has now been legally declared alive, proving that the man Sam has been with is not Jason Morgan. General Hospital’s Jason has always been a selfless person and it is clear by Sam’s actions that she wants to be away from the mob, even starting a media company with “Drew.” Sam went so far as to reject Jason and snub him in front of everyone when his identity was confirmed. Are fans ready to see the end of this power couple as Jason watches her live her life with his twin brother? Be sure to tune into ABC’s General Hospital (GH) to catch up on everything happening right now in Port Charles. Check CDL General Hospital spoilers often for updates, news, spoilers and rumors! Do You Think Jason Should Divorce Sam & Set Her Free?